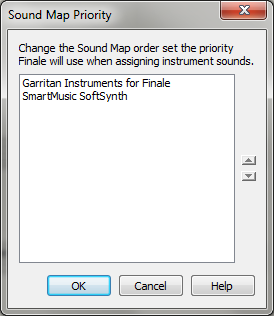 Finale includes Sound Maps for the included Garritan and SmartMusic SoftSynth sounds. In addition to the Sound Maps that accompany the included Garritan instruments as part of your Finale installation, additional Sound maps are available for all VST sounds MakeMusic sells. See our Knowledge Base for more information.